Angie Cuevas is our second featured player of the month for November. Angie began the year playing up an age group on Coach Luis’s U14 Blue Team. 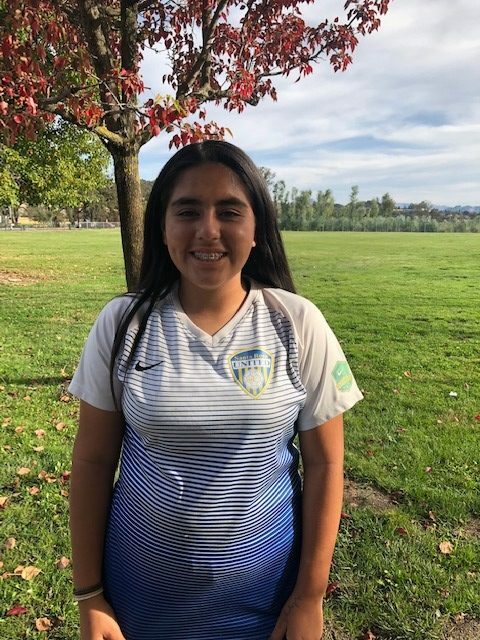 Through her dedication and hard work Angie has improved so much over the past 4 months she has also been guest playing with the U13 ECNL team. She has been playing well and has come a long way because of the hard work outside of soccer.